Leaders flocked to Caracas on Friday as Venezuelans paid an emotional farewell to their late President Hugo Chavez. His successor Nicolas Maduro has since been sworn in as acting president and called for snap elections. 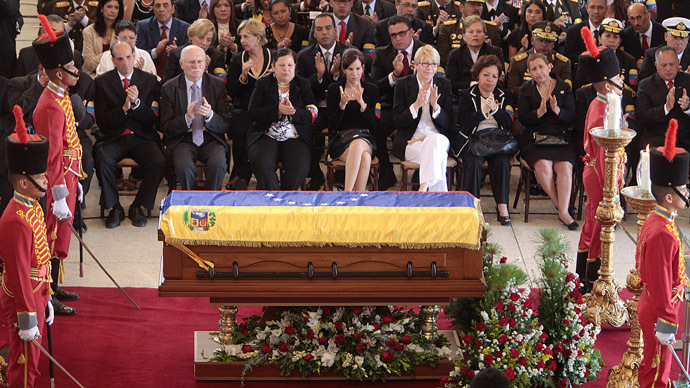 Chavez’s closest allies were present at the state funeral in a military academy where his body has been laid in state. Among the high-profile leaders were Iranian President Mahmoud Ahmadinejad, Cuban President Raul Castro, Belarusian leader Aleksandr Lukashenko and Spanish crown-prince Felipe de Borbon. Other regional allies such as Brazil’s Dilma Rouseff and Ecuador’s Rafael Correa were also present. Chavez died on Tuesday at the age of 58 following a two-year fight against cancer. His body will be embalmed and preserved just like Lenin, and laid out in the ‘Mountain Barracks’ where he devised a failed coup. The venue will be turned into a Museum of the Revolution. Hours after the state funeral, Vice President Nicolas Maduro was sworn in as acting president of the country at a meeting of the National Assembly. Chavez had hand-picked Maduro as his successor. 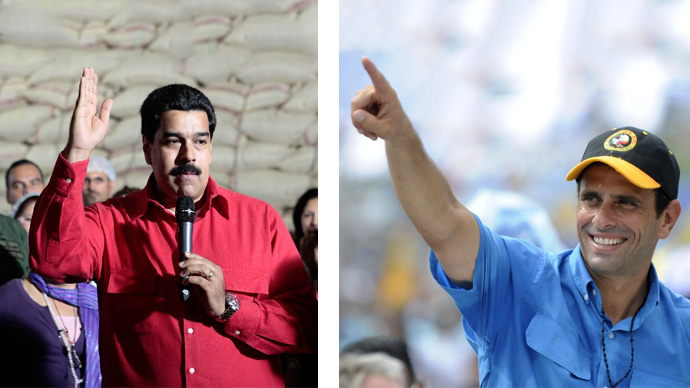 Maduro has asked Venezuela's election authority to call a national vote immediately. The country is set to hold new elections in a month, with Maduro set to run against opposition candidate Henrique Capriles, who lost last year’s elections to Chavez. The opposition however boycotted the swearing-in and called it fraudulent, arguing that the constitution says that the president of the parliament should take over as acting president. 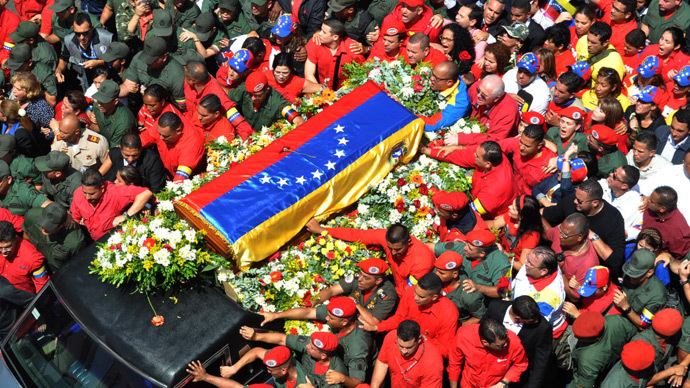 More than 2 million people have already filed past Chavez’s coffin to pay their last respects to the flamboyant leader who was lauded as the second Simon Bolivar by some and denounced as an autocrat by others. 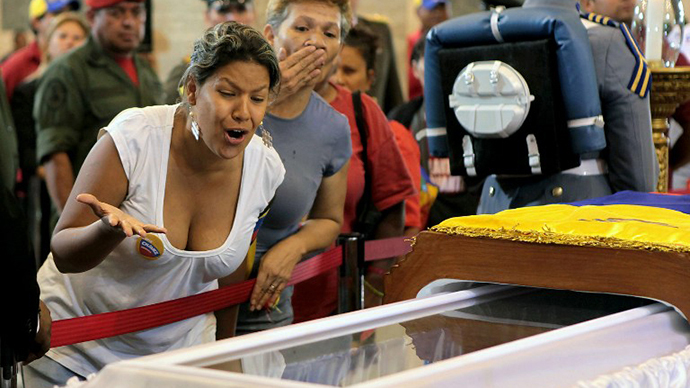 Maduro also said that the former president will lie in state for seven more days, at a military museum, so that people can continue to bid farewell to their leader.